Even the interior lools like a modern version of Kitts 4th season dashboard. But I found this video of the new Mustang GT5.0. I could easily imagine this as KITT in a second season. replace the grill with one without the pony and no fog lights, put a scanner in there, and it's good. Remove the GT emblem on the side and give it black tail lights and that is the perfect KITT. I know you are trying to be as accurate as possible, but I would keep it like this. Topic: KITT is back 2009/2010 !!!! Topic: which KITT voice light is better? Re: which KITT voice light is better? I like season 1 (2nd half) and season 2 Voicebox the best. It's a classic. Looks also good on KARR in season 3. Just take a look at the videos. 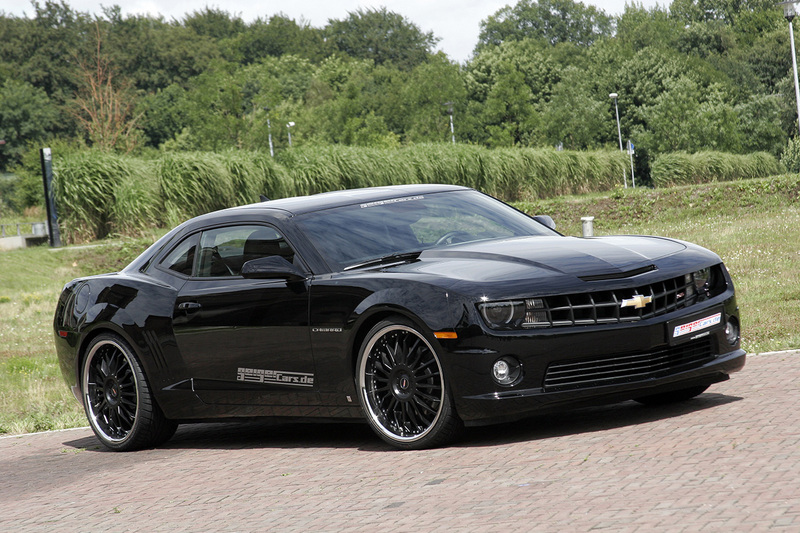 Another great looking Camaro that immediately reminds me of KITT. 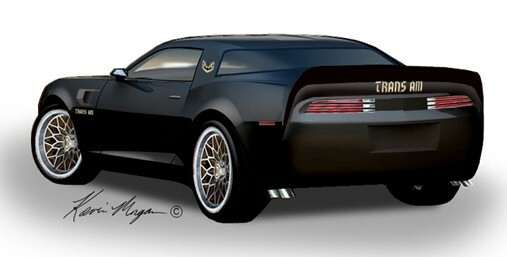 Here is a drawing how the Camaro Trans Am looks from the rear. The first image is great, that's a Camaro with the "trans am package". But the second image is a fake, it's actually a photohopped Mercedes SLK or Corvette which you can find on the internet for some time now. So I guess this won't happen. But the first one would be definitely a good choice. 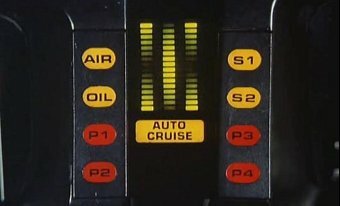 So to get back on topic, if they would ever use the Camaro for KITT it should be the SS version with a classic scanner. http://cache.gawker.com/assets/images/jalopnik/2009/07/Hasslehoff_Jaguar.jpg This shot was snapped during last night's live unveiling of the 2010 Jaguar XJ. David still has the Michael Knight moves and his hair looks a little bit more like Michael Knight than in the 2008 pilot. Nice shot! Thaurin wrote: Thanks. Earlier in the thread we're talked about adding KARR and we definitely want to do it! It'll be part of a major update, so I can't give you an ETA on it yet. Man this is great!!! I have the iKITT v1.0 and I love it. There is no day when I don't talk to KITT The new graphic is an improvement, looks good. I wonder if you have plans to add KARR in the future? This would be awesome. Shapeshifter wrote: Whether is still exists or not, NBC could not release the Arnett work on KR in any way, shape, or form without being sued by GM. So just wait some weeks until GM is bankrupt, what's the problem?! Nah, they just didn't spend the most of their budget on a KITTcave where the car can ride in a rollercoster and they didn't build so many ugly attack mode cars. 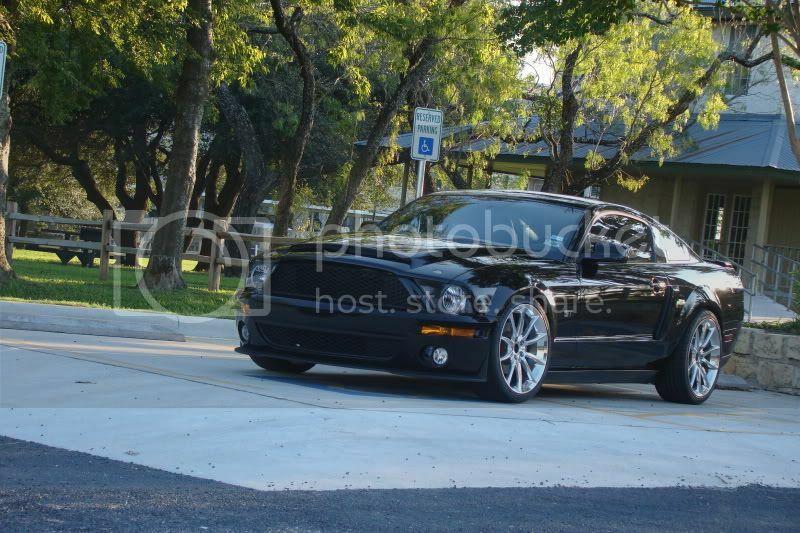 Though I still like the non-Shelby 2010 Mustang without the black stripe better, you version looks good. Good job. I think this is not the best place for the scanner, because you can't really see it on top of the hood. Apart from that it looks kinda cool, but the white stripes are a little strange. Topic: If you made a new KR show how would you do it? Re: If you made a new KR show how would you do it?